To get inside this puppy you yank out the filter and remove 2 screws. I went to the parts store and purchased a new filter, you will see why in a minute. Use a putty knife to release the plastic clips in the front and raise the top. Take the door switch wires off and get that front panel off. Lift up the front panel to keep from breaking the clips at the base. This is why the dryer wasn't doing too good of a job. Busted filter didn't help either! 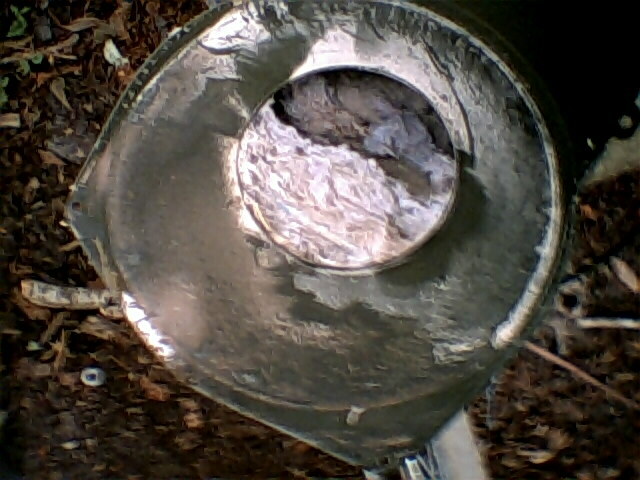 I cleaned the blower housing. See those 2 amigos on the blower housing? The Klixon is the temp control. 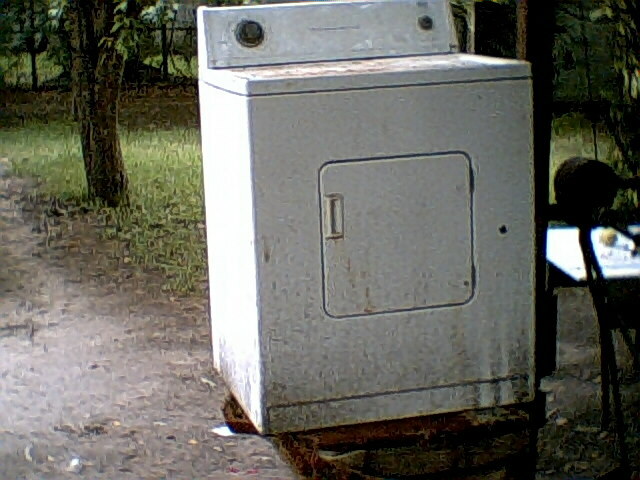 It judges the air temp and turns the element on and off throughout the drying cycle. The white skinny thing is the duct fuse. It is a wonder that fuse didn't melt by now with all that lint. I took a water hose to this housing and washed it out real good and let it dry before re installing it. To get it out you remove 4 screws at the base and 2 screws on the bulkhead and come out the top with it. Newer models come out the back. Older models must come out the top. This is a photo from a previous job, I screwed up the roper photo (real fuzzy) but it mounts just like this one. It helps to have someone hold the drum while you stick the idler in the floor and raise it up,loop the belt through and onto the motor. Make sure that belt is not twisted or you will be a buying another belt. 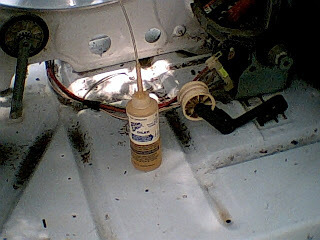 Oil the rollers using Zoomspout oil. 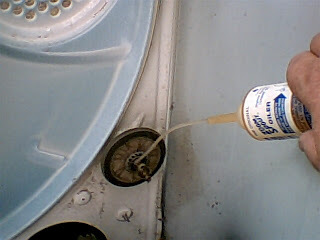 It is safe for dryers, all major appliance, HVAC applications and it only cost a few dollars at any Ace hardware store. While you are at it oil the idler also. Work it by hand till it turns freely. 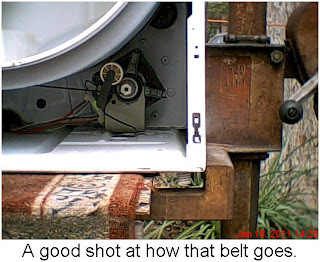 The spring tension from the idler keeps the belt from coming off. Well it did need a new filter. LOL! Your the best JW! I have learned a lot of tricks over the years from you, thanks! Great job JW... any tricks to get that blower wheel off the motor ???? 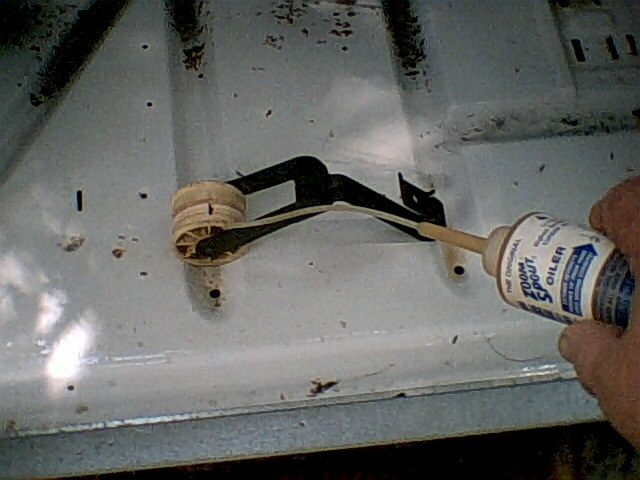 On particularly hard to remove blowers I use the old rubber mallet trick. The blower is welded permanently to the motor with age and heat applied so ya gotta spank it to get it to budge. The correct way to do it is get an adjustable wrench and place it on the flat side of the motor shaft to hold it while you loosen the nut on the inner plastic portion of the blower as seen on Repair Clinic. LOL Sometimes ya gotta get mean with that puppy to get it off. I jam a small ballpeen hammer handle into the 3 o'clock position of the blower. 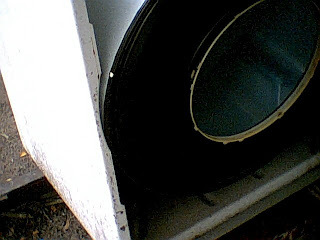 With the shaft locked down I slam downward on the handle with a big old rubber mallet. That either pops it loose or destroys it. Either way yall gotta get that thang off there to replace the motor. Roper Dryer Tune-up was taking quite a while to dry clothes and gave it a good cleanup. I have one of my air cleaner filter business.It is a good source of clean, healthy water that costs much less than bottled water. 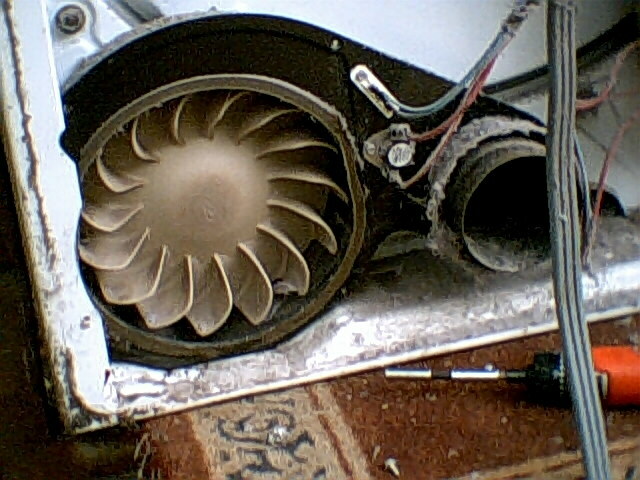 Thanks for such informative blog, it really prove worthwhile in my Air Cleaner business. It provide good Air Cleaner equipments make Air Purify and quality services. The Roper dryer was taking quite a while to dry clothes and gave it a good cleanup. I have one of my Indoor Air Quality business. It affected by microbial contaminants , gases or energy stressor that can induce adverse health conditions. Indoor air is becoming an increasingly more concerning health hazard than outdoor air. Plumbers install, and repair pipes, fittings according to specifications and plumbing codes. They work with piping systems that transport liquid, gas, or semisolid material and it also maintain existing plumbing systems. 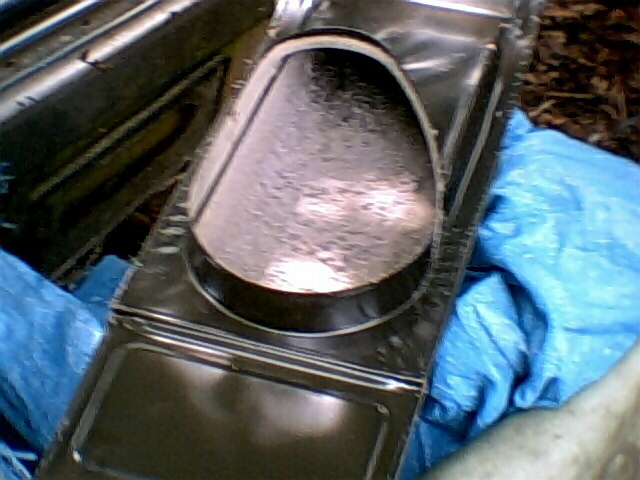 I have one of my Plumber London business. We provide good Heating and Air Conditioning Baltimore services and all makes of commercial and industrial heating and cooling equipment. I hope you like it. We provide investors with a comprehensive array of powerful tools designed to give you the edge. With Asio-Trader, you can minimize risk, manage complex transactions, track investments, get alerted to real-time investment opportunities, Options Trading for beginners and much more. We are members of ATRA , ATSG (Automatic, Transmissions, Service, Group) and all employees are ASE Certified. If you're looking for the leader in Transmission Repair Hollywood FL, look no further, you've found it at AMS Transmissions. Excellent blogging. 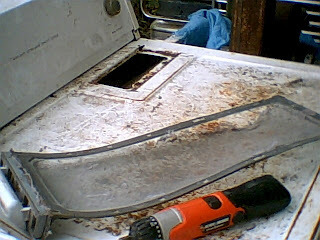 This is the way to save money and refurbish old appliances such as this washing machine. 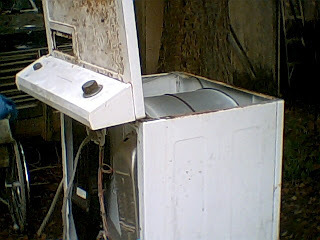 It should not be trashed but repaired DIY and by appliance repair services like the Dishwasher repair Alexandria VA.
Commercial cleaners often provide excellent value to the office environment, without having to worry about employing a workforce of cleaners. Air Conditioning Humble is having a good composition of team and they are ready to give the service for 24 hours.